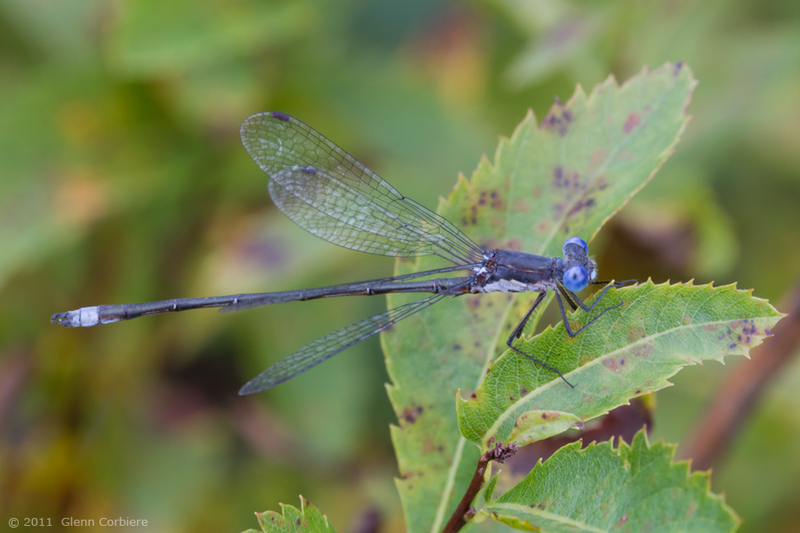 Lestes congener (Spotted Spreadwing), male, at Ludlow, Hampden County, Massachusetts, 9/24/2011. Copyright 2011, Glenn Corbiere. Image not to be used without permission.